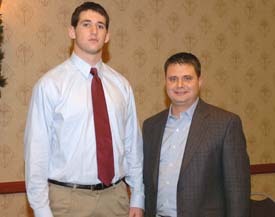 ESCC Player of the Year John Ruettiger with Joliet Catholic Coach Dan Sharp. 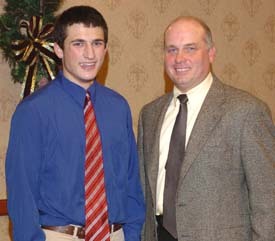 Carmel coach Andy Bitto with ESCC Co-Offensive Player of the Year David Venegoni. 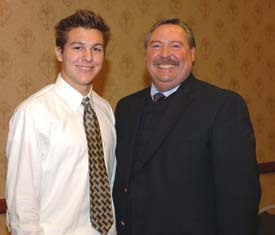 Carmel Catholic coach Andy Bitto with co-Defensive Player of the Year Ryan Williams. 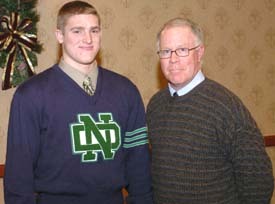 Notre Dame coach Mike Hennessy with co-Defensive Player of the Year Brendan Murray. 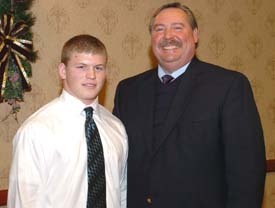 Joliet Catholic Coach Dan Sharp with co-Offensive Lineman of the Year Nate Fonck. 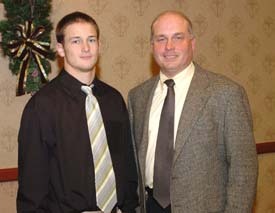 Joliet Catholic coach Dan Sharp with ESCC co-Offensive Player of the Year Brandon Geiss. 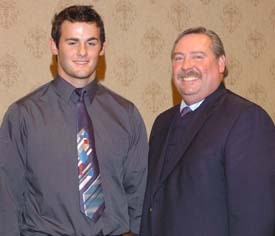 Joliet Catholic coach Dan Sharp with co-Defensive Player of the Year Nick Clancy. 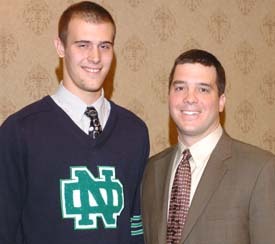 Notre Dame assistant Dan DeFranza with co-Defensive Lineman of the Year Rich Szukala. 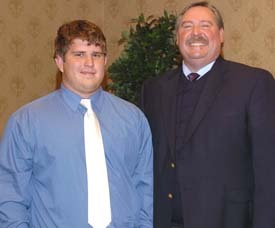 St. Viator Coach Chris Kirkpatrick with co-Offensive Lineman of the Year Emmett Cleary.